This policy brief addreses the lessons learned and policy recommendations from CBFM-2. 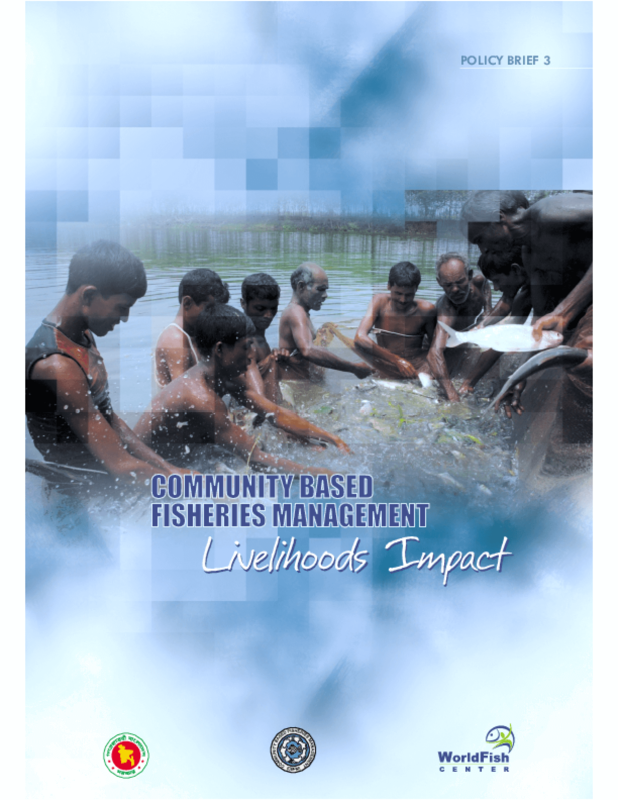 The Community Based Fisheries Management (CBFM) Project has been implemented since 1995 by theDepartment of Fisheries (DoF) with the assistance of the WorldFish Center. It has worked in a range of water bodies across Asia (Southern)-Bangladesh; including government owned fisheries (jalmohals) and privately owned fisheries in closed beels, open beels, floodplains and rivers. The second phase of the project, CBFM-2, supported by DFID, is now in its last year of operation and covers 116 waterbodies. It has resulted in the establishment of 130 Community Based Organisations (CBOs) through community development work by 11 partner NGOs.